There’s a wonderfully written post on Sean Blanda’s blog about fixing entrepreneurial journalism courses. Unusually, the post demonstrates a particularly acute understanding of the dynamics involved in teaching (Lesson One, based on my experience of teaching ‘strategic learners’, strikes me as a particularly effective tactic*, while Lesson Two addresses the most common problem in students’ ideas: vagueness, or ‘mass marketism’). But it also reminded me of a conversation I had recently about journalism students’ reactions to being taught entrepreneurialism – and the one lesson that’s missing from Sean’s list. Here’s the thing: journalism students – and I hope I’ll be forgiven for generalising horribly here – often have quite a conservative perspective of the profession. For example: despite print journalism bleeding jobs and online publishing being one of the biggest areas of growth, you wouldn’t know that by looking at the application numbers for the courses leading to each industry. 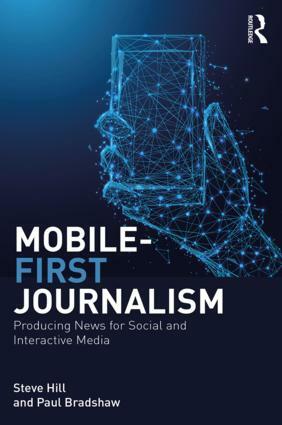 The majority of students still want to be print or broadcast journalists – even while most of them get all their news online and most people in the industry are having to adapt to multiplatform roles. And unfamiliar roles like community management take a great deal of explaination and justification. Teaching entrepreneurial journalism, it seems, generates the same reaction. Many students struggle to connect with it on an emotional level, or, more often, worry about its impact on editorial independence. This lesson would deal directly with negotiating the tension between short- and longer-term commercial demands; how to maintain good relationships while also maintaining a professional distance. You’ll notice that I avoid using the terms ‘ethics’ or ‘editorial independence’ or other normative terms. Because, frankly, that language isn’t going to get you anywhere in an argument with an investor or publisher. And it will make that week’s class stick out as somehow ‘academic’ and unrelated to the core of entrepreneurship. 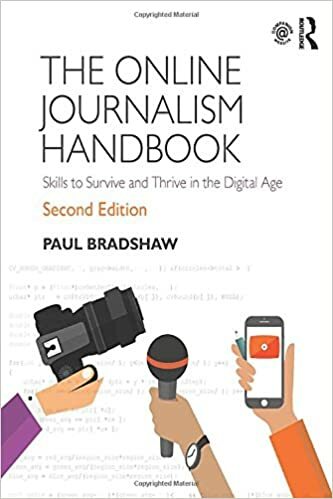 Ultimately, of course, it is about ethics and independence – but specifically why those ethics and that independence have evolved in traditional journalism, and how we have those arguments in the profession. Ideally it would involve a case study or two of people who have found themselves in those positions of having to explain to an advertiser or client why we are not going to do what they want. I don’t think you’ll have to look far to find those. Every editor, publisher, and ad sales director deals with these every month. Here are some starters: we say no to that advertiser because it will undermine our brand and reduce our audience, which the advertiser themselves does not want. We say no to that client’s demands because other clients will stop dealing with us if we don’t treat them all the same. We say no because we will end up in court (even if that’s not always true). We say no because our boss won’t agree to it (even if we don’t have to ask). We say no because the costs would outweigh the benefits. What else should be in that lesson – and are there others? *The idea of grading students *entirely* based on profits – or even revenue – is of course unworkable (universities could not accredit any course module based on this measurement), inappropriate (it’s not teaching the level of critical thought that a postgrad course should), and unrealistic within the timescale of study. Most new businesses don’t make money for their first couple of years, and under those criteria some of the biggest companies of the internet age would get an ‘F’ (and the biggest failures would get an ‘A’)But the principle of a small element based on this to get students’ minds focused and reward those who make a successful start, is a good one. This entry was posted in regulation and tagged enterprise, entrepreneurship, independence, Sean Blanda on March 22, 2012 by Paul Bradshaw.